Does it allow ringtones and graphics download? Where can I buy Total Wireless Service Plan? How often do I need to buy a Total Wireless Service Plan? What happens when I refill my Total Wireless Service Plan? What happens if I run out of data before my Service End Date? If you are the type of person who doesn’t like postpaid phone credits then Total Wireless is just for you. Total Wireless is perfect for people who are looking for an option that requires no long term contracts, no credit checks, no activation fees, no monthly bills, and no age limit. It is basically a pay-as-you-go prepaid wireless phone service which allows you to purchase any plan of your choice anytime you need it. 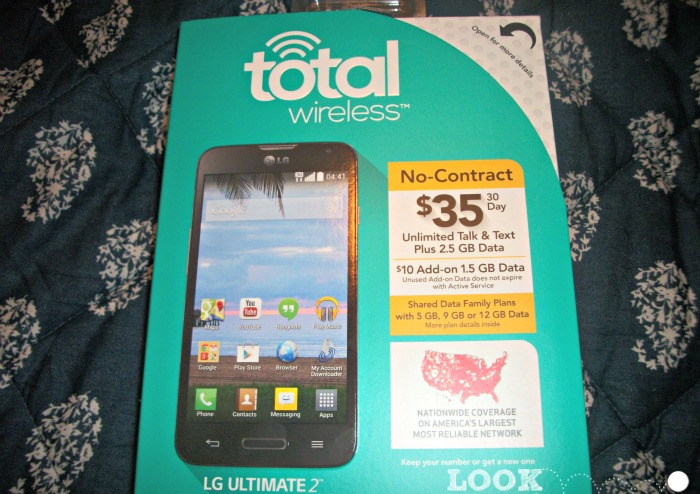 Basically, Total Wireless is a Mobile Virtual Network Operator that operates on the Verizon network. An MVNO doesn’t have its own infrastructure (wireless cellphone towers), thus, it buys wholesale data, call, and text credits from major carriers and resells it to consumers. In the case of Total Wireless, it buys from Verizon network. 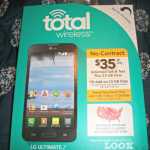 Total Wireless T&T – This plan comes with unlimited talk, unlimited text, NO data (0 GB), and NO mobile hotspot for only $25.00. For special features, it supports BYOD. Total Wireless 1.5GB – This comes with unlimited talk, unlimited text, 1.5 GB of data, ad NO mobile hotspots for $28.75. This is available for autopay billing. It also allows data add-on for $10 for every 3GB carryover data that never expires. Total Wireless 5GB – This offer comes with unlimited talk, unlimited text, 5 GB data, and NO mobile hotspot. This is for $33.25 for autopay billing and $35 without it. Additional data can be purchased, with unlimited carryover, at $10 for 3 GB. All packages under the Family Plans offer unlimited talk and text. They only differ in the number of lines and allowed and the amount of data available. The first Family Plan allows 2 lines and 8 GB of shared data. This can be purchased for $60 (or $57 with autopay). Next, we have the second Family Plan which can support 3 lines and provides 12 GB of shared data. This is worth $85 (or $80.70 with autopay). The last Family Plan allows 4 lines and 15 GB of shared data. This can be bought for $100 (or $95 if you have autopay). All these plans come with a data add-on card. You can use this to buy any additional data anytime you needed. You can purchase add-on data for $10 for 3GB. And the good thing about this is the fact that any unused data do not really expire. Unused data will carryover month to month for as long as your service is active. This ensures that all your leftover data will never go to waste. International calling is only available when you buy a $10 add-on card. And the rates vary depending on where you are calling. Unfortunately, it doesn’t support international texting as of now. Here are the most frequently asked questions about Total Wireless. Get to know more about this phone service carrier by checking it out. No. Total Wireless does not support roaming. You can, however, make international calls when you buy add-on cards. With corresponding charges, of course. It doesn’t support international texting as of this time, though. Yes. To do so, you may visit http://dsweb.totalwireless.com/. It’ll ask you to input your Total Wireless number before you can start browsing for ringtones and graphics. You may go to https://www.totalwireless.com/wps/portal/home/h/retaillocations/ to find participating Wal-Mart store near you. To keep your Total Wireless account active, you need to refill it every 30 days. You may also enroll with autopay for a hassle-free transaction. It will automatically refill your plan at your service end date. Refilling your account will automatically reset your phone’s balance by the amount of your service plan. This means you will get another 3 days of unlimited call and text. And, depending on your service plan, you get another 5GB, 8 GB, 12GB or 15 GB of data to enjoy for the next 30 days. There is no carryover for unused service, though. You may buy an additional 3GB data for $10. Unlike the data that comes with your service plan, add-on data doesn’t expire and will carryover in the next months for as long as your plan is active. Poor customer service as reported by some costumers. Some customers even complained about being put on hold for an hour or two. Poor porting service. Some customers reported that it took them more than 2 days to use the mobile phone they have just bought because it has no service. This is after they called Total Wireless’ customer service and got assured that their phone will be activated in no time. Fast data usage. Some customers complained about having their data limit used up in a very short span of time. One customer even said that he was shocked to learn that it only took him less than 5 days to use all his data when he doesn’t rely on his the data all the time. He said he connects to Wi-Fi when available and only uses the data when they can’t connect to one. Some customers are having trouble with their phone compatibility. Since the plan is not refundable, one customer said he made sure to asked Walmart if his phone’s compatible with Total Wireless and they said yes. However, upon buying his very first Total Wireless phone plan, he found out that it wasn’t really compatible with his phone. It was non-refundable so he wasn’t able to get his money back. Although some of the customers complained about the poor porting service, there are also other customers who claimed that they have theirs ported in just a matter of 10 minutes. Thus, they were able to enjoy their new phone right away. 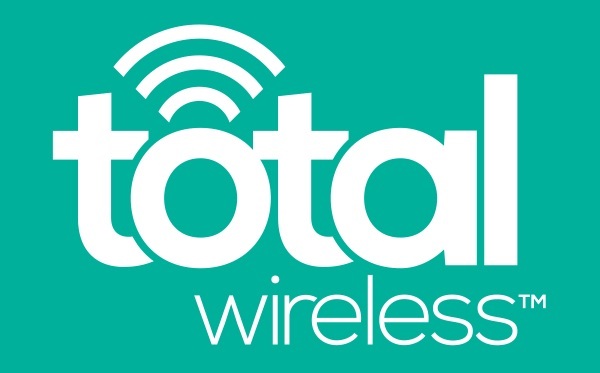 Some customers praised Total Wireless’ website. They said the instructions posted on their website were very clear. Thus, they have no trouble following the instructions and getting their new phone working in no time. Great coverage. Some customers are happy with Total Wireless’ great coverage. While some customers are having issues with Total Wireless, other customers are, however, happy with its services. It could be a case-to-case basis. It is best that you do some research first before you decide on going with Total Wireless or any MVNO service carrier in particular. There are other MVNO (Mobile Virtual Network Operator) services like Total Wireless. To compare Total Wireless to other similar services, here’s a quick review on the other leading MVNO service carriers. The good thing about StraighTalk is they offer unlimited everything (talk, text, and data) for only $45 amount. With StraightTalk, you don’t have to worry about buying additional data. They give you an unlimited data for a fixed price. Another thing is, StraightTalk also allows you to choose between an AT&T or T-Mobile SIM. You have the freedom to choose the carrier which has better coverage in your area. For long-term usage, you may also avail their $130 (3-month plan), $255 (6-month plan), and $495 (1-year plan) plans. GoSmart Mobile offers plans as low as $25 per month with unlimited talk and text (even support international texting). This allows you unlimited 4G LTE access to Facebook and Facebook Messenger. This means you are free to use Facebook and Facebook Messenger even without data (with no extra charge). Other GoSmart Mobile plans are $30 per month (unlimited talk and text with up to 4GB of 3G web), $45 per month (unlimited talk and text with up to 12.5GB of 3G web), and $55 per month (unlimited talk and text with up to 20GB of 3G web). Boom! Mobile is another trusted MVNO carrier. They offer a phone plan in as low as $19.99 a month. And the best thing about it is, all taxes and fees are already included in the price shown. And to top it all, all their plans include voLTE HD Voice Calling and mobile hotspot. $29.99 for unlimited talk and text plus 2GB of data. These are just three of the other MVNO service carrier. There are still a lot more to choose from. You may buy a mobile phone that comes with its designated phone service carrier on Amazon. That or you may bring your own phone and just buy a phone service plan separately. The choice is entirely yours depending on what works for you. In conclusion, MVNO is the perfect option for those who do not want to deal with monthly phone bills. Or in the case of parents, this is the perfect solution for controlling your kids’ phone bills. Some parents opt not to share their postpaid phone plans to their kids as to avoid going over their limit and paying an extra charge. Thus, they opt to buy MVNO phone plans for their kids. That way, it is easier to control how much their kids are spending on phone bills. But since there are a lot of MVNO companies nowadays, it is hard to choose what to trust. Although Total Wireless seems to offer a fair deal, it still doesn’t hurt to shop around a little. Compare Total Wireless with other MVNO services to see what works best for you. The good thing with MVNO is the fact that you are not bound to one company. There’s no contract that binds you to the MVNO service carrier of your choice. If after your first month with them you are not satisfied with the services they offered, you can easily change your phone service carrier. This makes things a whole lot more convenient.